Dragon Ball Z has been a staple of 90s kids’ childhoods for a very long time. 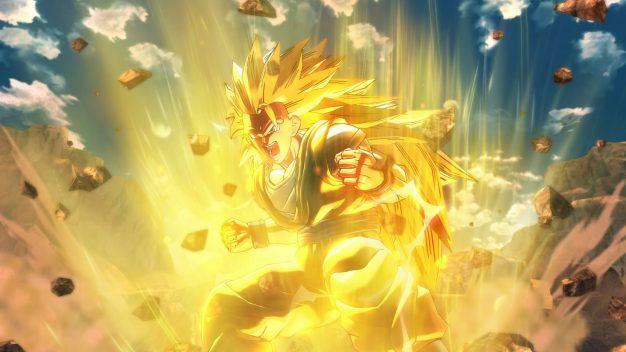 The story of Son Goku – the warrior alien turned peaceful protector – has a way of seeping into our hearts as we watch him punch his way through threats that want to conquer earth. That story has been played over and over again by gamers. Games based on anime properties have a way of throwing you into the action of the show. This strategy has made for some memorable and some annoying games. 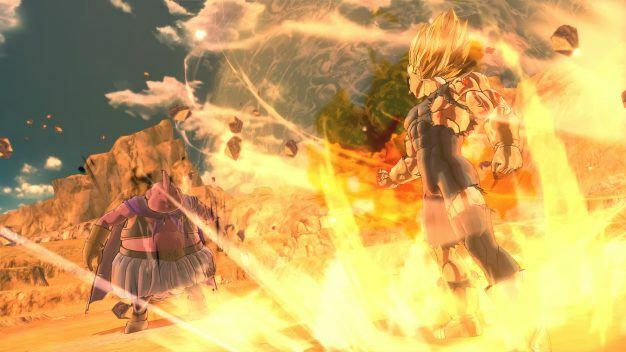 The newest game in the line is Dragon Ball Xenoverse 2. In DBX2 you play as a time patroller. Essentially, you are the Dr. Who of the Dragon Ball world. Your job is to keep the timeline in order and stop anyone from trying to alter it. For instance, if Goku dies in the original Saiyan invasion than who will be alive to stop Buu? The story of DBX2 takes place after the first game, with your first character being a legendary hero in this world. The story decisions every now and again will be bounced to you and you will have to decide how to proceed. The time traveler angle is a great story device for bouncing around the story of Dragon Ball. You will be spending most of your time in a hub world filled echoes of all of the world’s strongest fighters (yes Yamcha made the list) and they will teach you what they know about combat. 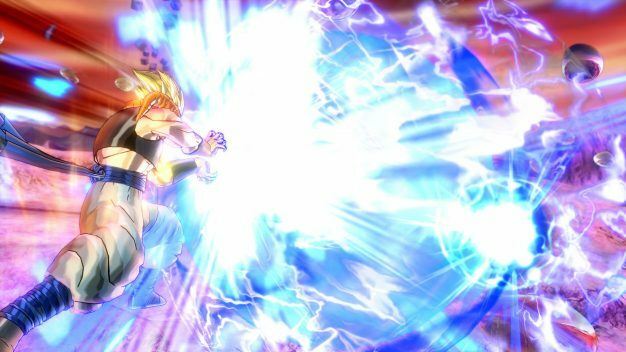 Dragon Ball Xenoverse 2 felt more fluid than its predecessor. Combat felt less like a chore and I was able to let loose a little more. Character creation is back and plays little into the overarching story. However, you will be able to do race-specific quest. Once again, Saiyans are overpowered and get Super Saiyan 3 very early on, but everyone gets a transformation this time around. This makes Saiyans fairly stronger than all of the other starter races. 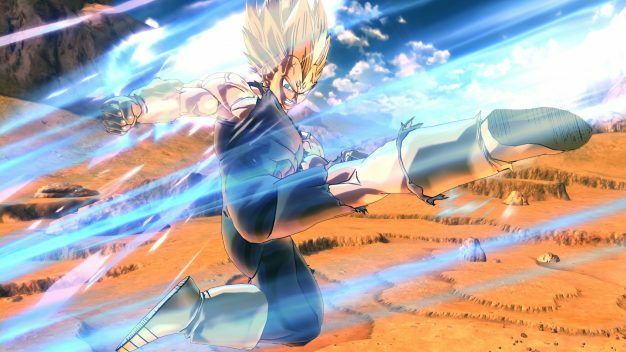 Humans get the ability to hover on a flying nimbus and attack with a power poll but none of that is as cool as back length spiked golden hair. I found the story to be a little more gripping than the first game. Since we were already introduced to the world they could skip some of the boring parts and throw us right into the action. There were times in the first game where I felt thoroughly outmatched by the computer. This time around I felt like there was always something I could do to turn the tide of battle back into my favor. Multiplayer comes back swinging with up to 300 players for you to fight with or against, and the huge world of Conton City is seven times bigger than its predecessor. The introduction of flying in the Hub World makes traversing it a breeze. And the ability to finish off some of the fiercest fighters in the known universe with a Wolf Fang Fist is enough for me to stick around. With the Nintendo Switch out in the wild, the system’s game library has been gone over with a fine-tooth comb. On the list of confirmed games, and in the announcement video for the system, I was surprised to see Dragon Ball Xenoverse 2 on the list. DBX2 came out on PC, PS4, and XB1 in October of last year, and was met with high praise when compared to its older counterpart. If you skipped over this one in favor of something different than now might be the time to pick it up seeing as it has been included in multiple sales.